Sonic Acts has the pleasure to introduce the second edition of Sonic Acts Academy, a new platform focusing on artistic research and the critical examination of education in the field of art. The Academy will take place from 23 to 25 February 2018 at various locations in Amsterdam. Below you can find more information about the programme and the various ways teachers and students can participate. Students can purchase Academy Passes at a discount price of €55. A further discount is available to groups of four or more at €52.50 per ticket. If you’re quick, Early Bird tickets are still available until 31 December for €50 each. The second edition of Sonic Acts Academy features a range of international artists, academics, activists, curators, and theorists, ready to articulate different examples of learning and to engage in an experimental setting free of institutional pressure and privileged classrooms. Their processes are revealed in a variety of open workshops, seminars, lectures, performances, screenings, sensorial walks, and installations. Sonic Acts Academy 2018 is pleased to host the artists and theorists Ane Hjort Guttu, Ase Manual, Catherine Christer Hennix, Charmaine Chua, Christina Kubisch, Cocky Eek, Daniel Mann, DJ Haram, DJ Lycox, Dreamcrusher, Drippin, Filipa César, Geng, Jennifer Lucy Allan, Jennifer Walshe, Kilbourne, Lorenzo Pezzani, Marija Bozinovska Jones, Mario de Vega, Martijn van Boven, Moor Mother, Nicole Hewitt, Nora Sternfeld, Renske Maria van Dam, Rick Dolphijn, Roc Jiménez de Cisneros, Sasha Litvintseva, Solveig Suess, Susan Schuppli, Swan Meat, and Violence. More names will be announced in January. Metahaven at Sonic Acts Festival 2017. Photo by Pieter Kers. Following the success of the previous Critical Writing Workshops, a new edition will take place during Sonic Acts Academy 2018, from 23 to 25 February, facilitated by Jennifer Lucy Allan. Participants will cover the conference, performances and other events during the Academy, and have a chance to interview participating artists and theorists. The workshop hosts a maximum of seven emerging international bloggers, journalists, critics and writers active or interested in the field of interdisciplinary arts. Participants pay a €50,- contribution and receive free access to all events plus a copy of the Academy zine. Applicants are asked to submit a short motivation and CV to write@sonicacts.com. The deadline for applications is 21 December 2017. Speculation as Interface. Photo courtesy of Mario de Vega. This workshop will focus on making and using disruptive technologies. 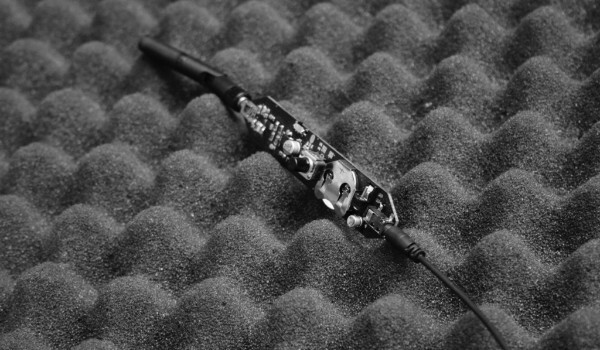 Participants will learn to use tools to explore, control and disrupt devices within their vicinity and translate wireless signals into sound. Using this tactical media the workshop participants will instigate and discuss alternative ways of creating communities. This three-day workshop is led by artists Mario de Vega and Victor Mazón Gardoqui and hosted by Sonic Acts in collaboration with Paradiso and will take place from 21 to 23 February 2018 in Amsterdam. Participants pay a €75,- contribution for three days. 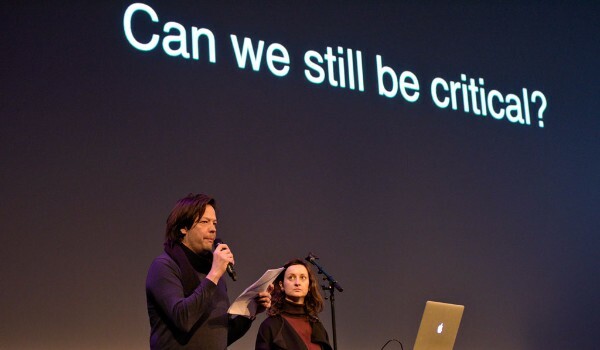 To apply, please send a short biography and motivation letter outlining why you would like to attend to workshop@sonicacts.com. Sensing the Shipyard at Damen Shiprepair, Amsterdam. Photo by Chee Yee Tang. As part of the Academy, we are collaborating with the ArtScience Interfaculty in The Hague on Sensing the Shipyard: A Sensorial Journey. The project is part of ongoing research into the transformation and rethinking of modes in the artistic field. Under the guidance of artist and teacher Cocky Eek and Sonic Acts curatorial team member Nicky Assmann, a group of ten art students are running a research programme at the Damen Shiprepair in Amsterdam. 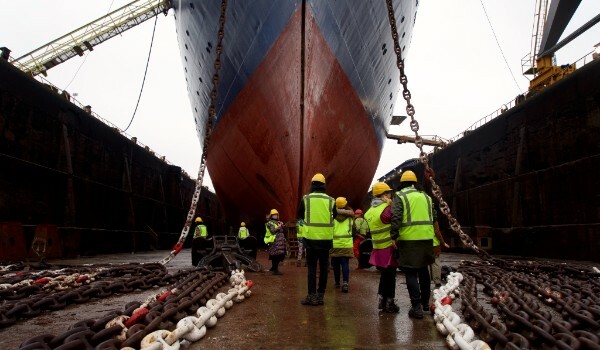 By recording the different sounds, movements and smells, and investigating surfaces and scales by touch, the students explore this remarkable shipyard by sensorial mapping, whilst researching how they can recompose these location-specific stimuli into an artistic experience that the Academy audience can embark on. Organised in partnership with Paradiso, Stedelijk Museum Amsterdam, EYE Filmmuseum and Dansmakers, and as part of Re-Imagine Europe, the Academy includes speculative ‘festival’ modules devised together with Continuum, Interaction Design (ArtEz, Arnhem), ArtScience Interfaculty (Royal Conservatoire & the Royal Academy for Fine Arts, The Hague), Centre for Research Architecture(Goldsmiths, University of London), Shadow Channel (Sandberg Instituut, Amsterdam), and Research School for Media Studies (Utrecht University). Sonic Acts Academy 2018 is supported by the Creative Industries Fund NL, Amsterdam Fund for the Arts, Mondriaan Fund, Creative Europe Programme of the European Union, Prins Bernhard Cultuurfonds, and Paradiso.